Ecosystems and biodiversity produce benefits to society, but many of them are hard to quantify. For example, it is unclear whether European societies gain benefits from experiencing rivers that host high native biodiversity. Without such knowledge, monetary investments into ecologically oriented river management plans are difficult to justify. The objective of this study was to reveal how the public in four European countries values ecological characteristics of domestic rivers and the outcomes of hypothetical river basin management plans designed to improve river ecosystems, particularly fish biodiversity. We conducted a choice experiment among the populations in Norway, Sweden, Germany, and France. We found similar preference structures in all countries with high marginal willingness-to-pay for improvements of abiotic river attributes (increased accessiblity of the river banks, improved bathing water quality, decreased river fragmentation). Citizens also benefited from certain fish species occurring in a river with native salmonid species being more valued than nonnatives, particularly in Norway, and from the degree of a river’s native biodiversity. Welfare measures calculated for selected river basin management plans (policy scenarios) revealed societal benefits that were primarily derived from ecological river management whereas a scenario focusing on hydroelectricity production generated the lowest utility. 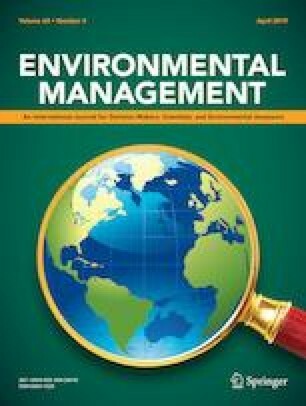 We conclude that ecological river management may produce high nonmarket economic benefits in all study countries, particularly through the management of abiotic river attributes and the restoration of declining or extinct fish species. Our results help to inform decisions on restoration efforts by showcasing the benefits that these measures have for the public. This study was funded by the German Research Foundation (DFG; grant to R.A., number AR 712/4-1) within the project SalmoInvade in the BiodivERsA 2012-2013 Pan-European call (supported by the EU’s Horizon 2020 research and innovation program). R.A. also received funding from the German Federal Ministry of Education and Research (BMBF) within the project Besatzfisch (grant number 01UU0907) in the Programme for Social-Ecological Research and through the EU’s Horizon 2020 program under the Marie Sklodowska-Curie grant agreement (No 642893). We are grateful to Ulf Liebe, Julian Sagebiel, Wolfgang Bandilla, Michael Braun and to our colleagues at Leibniz-Institute of Freshwater Ecology and Inland Fisheries and Humboldt-Universität zu Berlin for insightful comments on the study concept and data interpretation. We would also like to thank Dorothée Behr, Julien Cucherousset, Jörgen Johnsson, Kjetil Hindar, all other members of the SalmoInvade project and the team of Language Connect for assisting with the translation of the questionnaire and for discussing its content. Special thanks go to Frederik Funke, Marco Reich, Alexandra Wachenfeld and all others at LINK, forsa, and Norstat for collecting the data and to all study participants for their kind cooperation. All procedures in this study involving human participants were conducted according to the ethical standards of the German Research Foundation (DFG) and in compliance with national data protection acts.